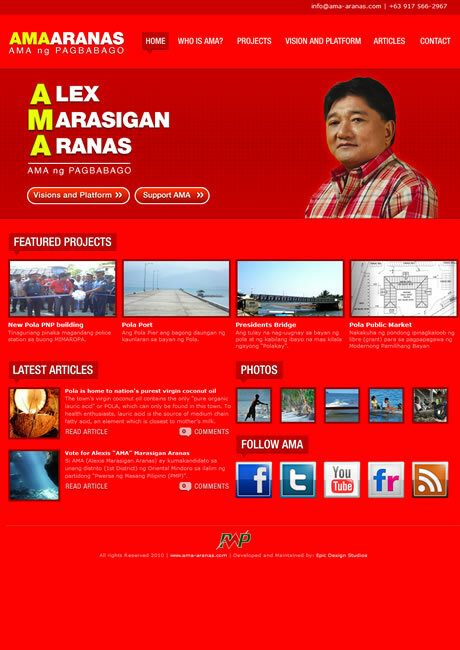 A group of supporters hired 2elev8 Media to create an online presence for AMA Aranas. 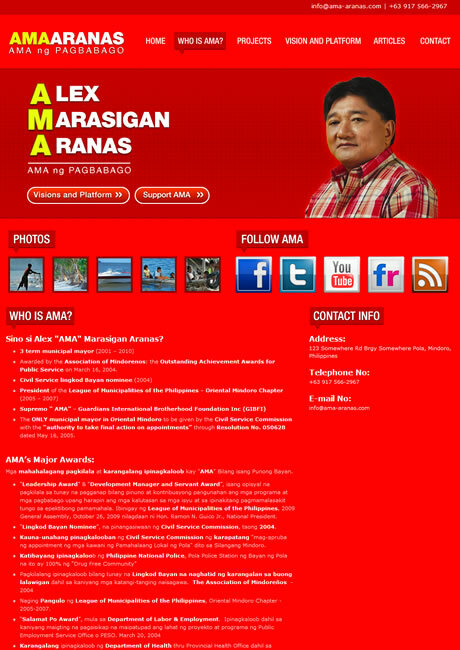 He was a candidate for the Philippine Congress. 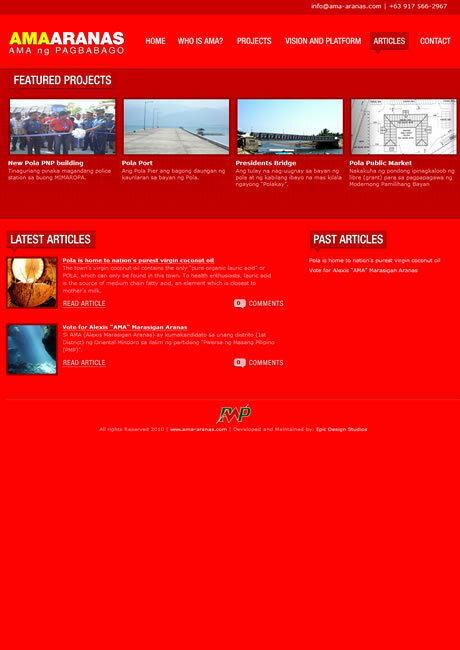 The website showcased his past projects, achievement, visions and platforms and a way to get in touch with him.